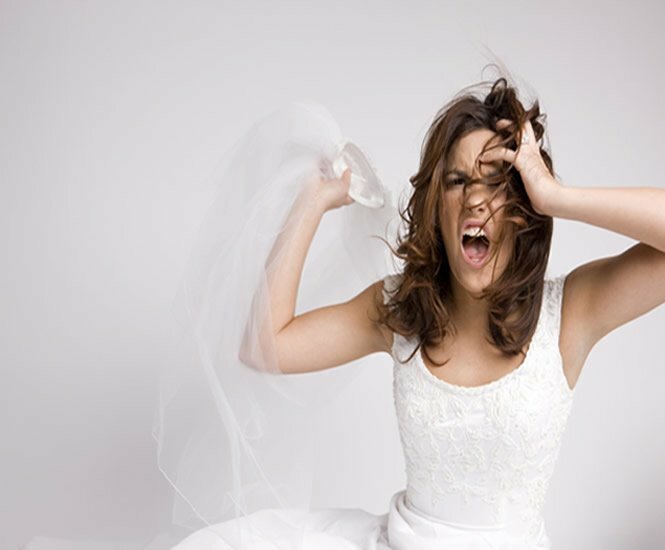 When you’re planning your wedding, there is so much to prepare for. Whether you are tackling a DIY wedding, or you have a huge budget and a planner to help, there is still a lot for the bride to do. Caterers, decorations, flowers and dress fittings all need to be squeezed into your busy schedule. But one part of your big day can often be neglected. It is the most important bit! The wedding ceremony is the moment you become legally married to your partner. Do you know what’s involved? Most ceremonies are performed indoors in a religious setting or a large room or hall. Seating is arranged on either side, facing forwards to the front. Down the middle is a clear aisle for the bride to walk down. The size of the room you book will depend on the number of guests you have invited. It’s not uncommon to invite fewer people to the ceremony than the reception. This is often essential with small chapel weddings. The Groom and his Best Man are often the first to arrive. If they have Ushers, they will arrive with them. The Ushers direct guests to the correct side of the seating areas. One side is for the Groom’s party, the other for the Bride’s. It is up to you which you pick if any. Traditionally, a Christian wedding sees the Bride’s family on the left. The Bride stands to the left of the altar too. Jewish weddings are often the opposite way around. Speak to your celebrant if you have a preference. The Groom may choose to meet and greet guests as they arrive, or he may wait patiently with the celebrant for the Bride to join him. The Bride traditionally arrives last. Her walk up the aisle is accompanied by her Father and begins when the music starts. You can choose any music you like, but most non-religious ceremonies will ban sacred music. As she joins the Groom, her Father may then be seated at the front. This is a tradition and not required if you prefer not to be given away. The wedding ceremony is the moment you become legally married to your partner. The Celebrant or Officiant will then welcome everyone. The wording is your choice, as are the vows. However, you must verbally agree to take each other as husband and wife. You can exchange rings if you want during your vows. White gold or titanium wedding bands have become a popular choice. You need to also sign the register with your officiant and two witnesses. Your choice of vows could be song lyrics, poetry, or something of your own. 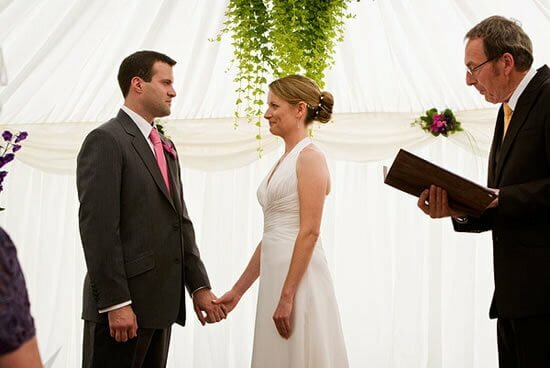 The ceremony can last as long as you pay for, and can be conducted in any order. It must be agreed with your officiant or celebrant, though. Once the Celebrant has declared you as husband and wife, you may then share your first kiss as a married couple. If the register has been signed, you can then leave the room. Traditionally, the bride and groom hold hands and leave back up the aisle where the bride originally arrived. This may be accompanied by the music of your choice and plenty of confetti!